As Brazil is still struggling to avoid a complete political melting down, its third sector cannot escape some hard realities. 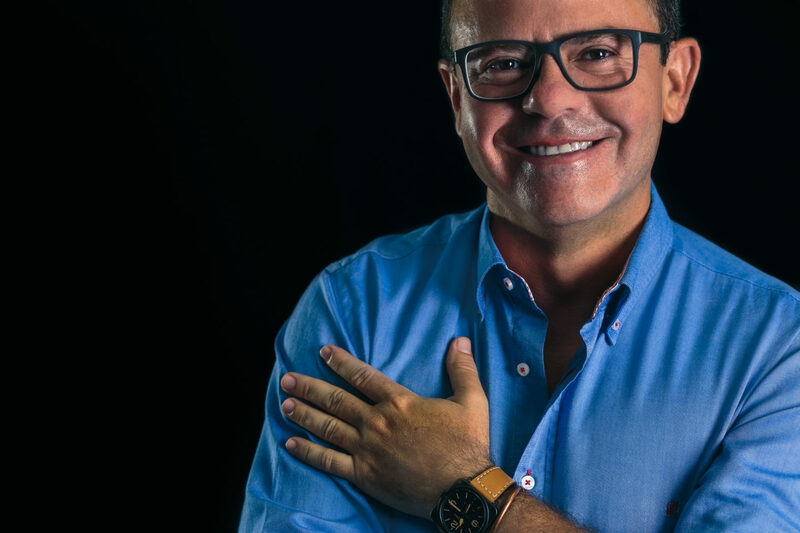 CIEDS CEO Vandré Brilhante takes a close look at his own challenges and at Brazil’s future, with realism and pragmatism, and still a sense of optimism. One his main concerns is certainly the ongoing making-of of a lost generation if the Brazilian education system is to stay in its current state of affairs. The task is daunting and the third sector has an essential role to play. Jean-Christophe Nothias (JCN): What changes have you seen in the Brazilian non-profit sector since 2015, particularly in regards to public and corporate funding and support? Vandré Brilhante (CIEDS): The last three years were very challenging for the Brazilian third sector, especially NGOs. Some will say they were the worst years in the last decades. The perfect storm involved one of the worst economic crises our country ever faced combined with a deep and lasting lack of confidence in our private and public institutions. Hundreds of politicians along with the largest private Brazilian corporations were involved in corruption cases. Almost all major Brazilian companies were somehow involved in or supported corruption. In this scenario, the third sector – NGOs, foundations and development agencies – were also involved in the following and political melting down process. In sum, our society today has less confidence in public agents than three years ago. The non-profit sector faced difficult times. Many small and large NGOs closed operations because private and public funds became scarce. Two large NGOs federations were also involved in political party activities and this has tarnished their reputations For CIEDS, it was a test in the sense of keeping its partners. Financial transparency is critical. For many other NGOs, partnering with large private companies became much more difficult due to new and strong compliance regulations. There is a new public policy to regulate non-profit funding and partnership with governments – local and federal, called the Third Sector Regulatory Framework, but it’s still not complete, and not yet implemented. Today, the scenario is unfortunately worse than three years ago. It is necessary to start programs to support capacity building among community organizations and also to promote better and stronger networks between non-profit institutions and the private sector. There are also new opportunities for nonprofits to support implementation of ethical policies and programs in public and private institutions and build operational support networks to implement projects and local initiatives. There are still other opportunities to promote a better public management of social policies and a better future. JCN: Is ‘system change’ part of CIEDS’ approach and reflection? How does this translate into your current and future operations? Vandré Brilhante: It´s a big thing for us. We are quite aware of local and global changes, especially in a country like Brazil. Still, we lack consolidation of social and economic public policies. Our public and private institutions are young in citizen principles and in globalization. At the same time, our society is going through a rapid process of losing confidence on many grounds. Social problems, conflicts, violence and poverty are growing threats to our families and youth. This situation places a huge responsibility on CIEDS, as we daily question ourselves if our activities, projects, and programs are useful for promoting real social positive change. We need to absorb new technologies and partner with related institutions if we want to make a bigger difference to the ones that most need our efforts. Prosperity for all will only be a reality if we start to promote collective impact, bring together not only our network but taking part and share with other networks to make strong actions. Community organizations need to flourish and grow everywhere in order to create a relevant and active social fabric. This is the reality of system change we face and consider mostly in our institutional planning which is orientated to support the achievement of the Sustainable Global Indicators promoted by the United Nations. JCN: Where do you see CIEDS biggest challenges for the next 5 years? Vandré Brilhante: We need to better balance our budget between governmental and private funding. Most of our budget is still funded by government projects. These activities are still seen by the government as service delivery and not as a social partnership. This is an issue we need to address more in our network. We also need to have the Third Sector Framework regulated and better implemented. At the same time, there is a lot to be done regarding partnership with private foundations and social institutes created by private companies. Most of them still operate projects and initiatives allied with the interests of their companies’ brand and in some cases, they compete with NGOs for funding and public resources. We are highly focused on promoting capacity building for community and youth organizations all over Brazil. We believe a strong third sector will create a strong democratic environment with more justice and prosperity. For this, we just launched COMPARTIR, a free digital platform to spread information and useful opportunities for everyone interested or working with social and sustainable initiatives. COMPARTIR aims to become a solution platform for the sustainable development. There is an urgent need of addressing social and educational programs that are effective for all Brazilian youth. Educational rates are going down despite many efforts. The country is going to face even harder times in the future since a whole generation is being educated in a poor and unfair way. This also brings the need of professionalization and first job programs for the youth from low income class. They are pushed aside since they lack education, information and equal opportunities. These goals and the many other initiatives described by CIEDS need to be better and easier evaluated in a regular manner, as our social and economic problems are growing fast and resources are going in the opposite direction. All of our strategic planning is based on promoting collective impact by acting in and with networks of different partners in order to increase our results. We also consider involving diverse teams and suitable new technologies to help us achieve our mission and vision. JCN: What has been essential in the rapid growth of CIEDS over the last two years? Vandré Brilhante: We are dedicated to delivering cost benefit results and to work closely with our partners. We consider partnerships not only as a funding process but as a long-term relationship. We also build and work with local networks. This makes a huge difference in sustainability and in the creation of new opportunities for projects. Since our mission is to promote prosperity we develop actions in many fields such as regular education, youth professionalization, entrepreneurship, culture, social assistance, and many others. Our partners used to say that CIEDS’ differential is in our capacity to adequately implement people, resources and partners everywhere we develop our activities. This is our core capacity. It is important to mention our capacity for creating professional teams with diverse backgrounds and expertise to put them at work, and create sustainable and positive actions. JCN: What achievement are you most proud of when it comes to field operations? Vandré Brilhante: Large numbers usually speak for themselves – projects, people involved, partners and so on, but the achievements that makes me especially proud, are the ones related to life change – even if it is one single life. For example, the programs we develop with young boys and girls that have committed small offences. The First Job Opportunities program, together with a social and a friendly approach have impacted directly in the sense of changing positively so many young lives and future perspectives. We are also proud of our management process for two specific reasons. We manage a very high number of operational processes, payment checks, taxes and offices in a very smooth and efficient way. Secondly, in a country marked by corruption and scandals, we are aside from these problems and keep our operational and financial transparency and accountability in a good health. We are proud of 20 years of creating and developing opportunities for the people that most need opportunities. We build networks for prosperity and are confident in a better future.